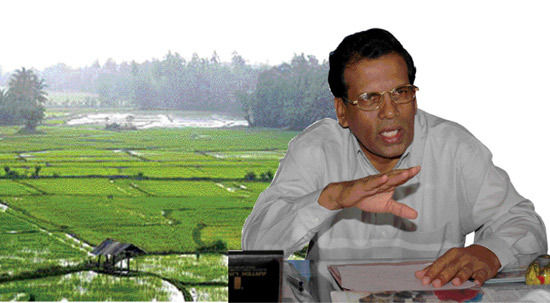 Is The Rice Monopoly Exempted From Yahapalanaya? There are several key characteristics that help distinguish the new interim administration from the previous Mahinda Rajapaksa government. The leading among these are the non-declared suspension of the country’s Constitution and the obvious symbolic, and material, repositioning of Sri Lanka as a willing and submissive recipient of the so-called Western-values template being pushed by the international community of neocons. The evidence of the suspension of Constitution came through early with the appointment of the prime minister by President Sirisena on 9 January, and more evidence came through the sacking of the chief justice under pressure from the lawyers’ union. The symbolic declaration of allegiances to the so-called Western values is apparent by the change in the dress code of the UNP de facto Cabinet – over night – to ‘dark suits’ from the national dress, with the prime minister and foreign minister seeming to be the most enthusiastic adopters of the new ‘civilised’ garb. Even arch western boot-lickers like JR Jayewardene would be turning in their graves! The de facto foreign minister’s travel schedule that seems to be fast reaching legendary proportions also shows that he has a lot of pent-up energies of worship to be offered at Brussels, London, New York and Washington. Not too many critics of the allegedly crooked previous administration have raised ire or even adequately discussed the unconstitutionality – and therefore the illegality – of such clearly “extra vires” actions under the promised regime of Yahapalanaya of the motley crew currently co-habiting the centres of power. There have also been a number of areas such as nepotism and cronyism, both by the president and the de facto prime minister and cabinet that would be contrary to any understanding of Yahapalanaya. As an example, the de facto Prime Minister Ranil Wickremesinghe, and the de facto State Ministers Rajiva Wijesinha, Ruwan Wijewardene and Vasantha Senanayake are first cousins, not to mention other minor relationships among a number of members of the de facto Cabinet. Only a few would notice such connections due to camouflaging under different surnames. The president has also appointed his brother and the son-in-law to key government posts. But this item is about the most shocking form of family cronyism achieved through presidential decree: the removal of the direct paddy purchasing powers of the Paddy Marketing Board (PMB), announced on Thursday, February 12. The description of the fraud as an exercise in stamping out corruption makes it even more hideous. The de facto minister of food security announced at a media briefing that “From now on we will not allocate money to the PMB to buy paddy since President Maithripala Sirisena has decided that the PMB has become corrupt”. He also announced that the objective of the move was to break the monopoly affecting the rice sector of Sri Lanka. The de facto minister is clearly trying to pull the wool over the eyes of the electorate! Even a second grader will be able to understand that abolishing the paddy purchasing power of the PMB would only strengthen the hand of those who control the market at present even more! The PMB was established under Parliamentary Act No. 14 of 1971 to be the leading national institution with the specific charter “to purchase and handle Agro-based products, with the mission of implementing a trading mechanism that served the interests of the agro-producer as well as the consumer”. The PMB largely lived up to such expectations until the mid-1990s when a coterie of private buyers with political patronage undermined its operations for self-interest. The situation got decidedly worse for the PMB under the successive SLFP governments since Chandrika Kumaratunga, with President Sirisena’s brother Dudley Sirisena of Araliya Rice, with another deputy minister of the Rajapaksa government, Nipuna Gamlath finally became a duopoly controlling paddy price to the detriment of farmers in Anuradhapura and Polonnaruwa. These two mill owners achieved teir dubious “success” by somehow managing to obtain finances easily from the state banking sector during harvest times while starving the smaller millers who faced many obstacles in securing loans from the same banks. Former Polonnaruwa District JVP MP S.K. Subasinghe complained: “Right at the beginning of harvesting, leading mill owners obtain loans from state banks without any hassle. Then, they buy and hoard stocks. When small scale mill owners get loans after going through difficult formalities, there isn’t much paddy left to be procured from farmers. Leading mill owners also manipulate the prices by the use of devious methods,” he said. Over 90% of the mills have been closed due to lack of bank financing under such a regime of corruption, and only around 60% of the closed mills buried under debt to banks could probably be revived under the best of circumstances. At the time the PMB was given the death blow last week, the private sector rice millers and traders headed by these two figures are estimated to be carrying paddy and rice stocks amounting to around 1,200,000 MTs, four times the tonnage held by the PMB and the District Secretaries, at around 300,000 MT. At present the price of paddy has come down to half of the recommended price with Samba bought between Rs.16 to Rs.18 and ‘Nadu’ at Rs.14 a kilo. But rice consumers rarely gain a look at such low prices. Farmers say they are unable to pay loans they had taken to grow paddy under such a price regime but monopolists carry out their fleecing of farmers unabated. They are now bound to face worse difficulties because the PMB was the only buyer of paddy at a guaranteed price. 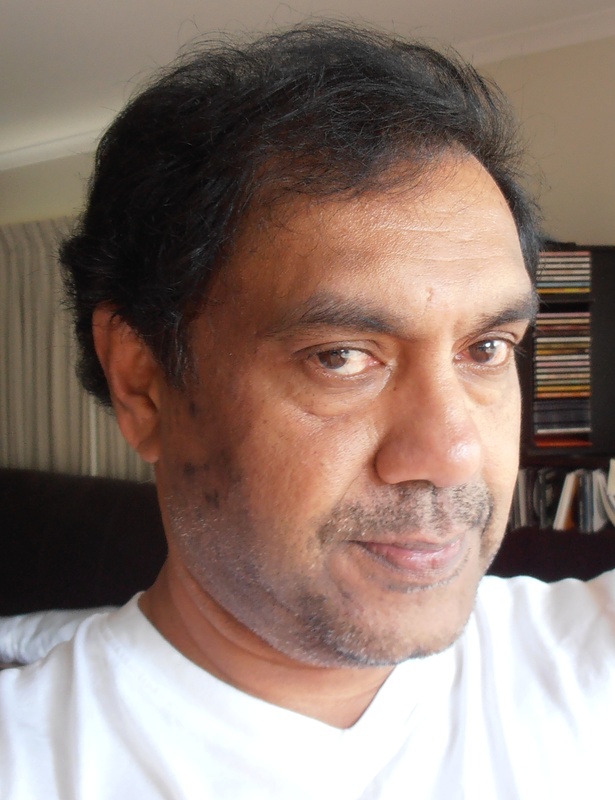 The brother of President Sirisena has been having a few bites of the national finance cherry: In May 2012, UNP MP Ravi Karunanayake told parliament that the Committee on Public Enterprises (COPE) had found that the two politically influential mill owners in the Polonnaruwa district had defaulted on the repayment of loans amounting to Rs.300 million borrowed from the Bank of Ceylon to purchase paddy from farmers in the area. The Bank had eventually written off this amount as bad debt. There are other reasons of revenge that may have prompted the presidential decree on barring the PMB from purchasing paddy with immediate effect: In July 2013, PMB, with the assistance of Police, raided the premises of 11 rice mill owners in the North Western and North Central provinces who had failed to mill and market paddy stocks that were purchased from PMB. The mill owner were fined to the tune of Rs. 6.8 million with a single mill owner in Ampara fined Rs. 1 million while three rice mill owners in the Polonnaruwa region were arrested and fined Rs.2 million. In the meantime, speaking to the latest edition of Business Today (Feb 2015) the presidential sibling Dudley complained that Araliya rice is struggling to maintain a steady supply with the rapidly increasing demand. May be not anymore with the legalised paddy purchasing monopoly! Yahapalanaya or not, it helps to have relatives at high places it seems. Did any one prohibit any one to start another Rice mill business. IF the guy having monopoly charges excessive prices, there is ample opportunity for another business carve into monopoly’s market share. It doe snot need any govt involvement. Just be patient Jim. No one in any country is a saint, for if he is one he would not be holding public office, especially elected. Though their appears to be competition, there are hidden barriers to competition and that is so even in countries like Japan. If the newly elected President of Sri Lanka is thinking of shedding power he has why must he be personally interested in Mahaweli and Environment? Why can’t he have a spearate Minster? In Japan the symbolic head is the emperor and the elected head is the Prime Minister where none of them hold portfolios and have all kinds of institutions under their wing. I as a resident must say that a political ideal for which voters cote for does not automatically come with the politicians getting elected. THE ELECTORS ALSO MUST CONTINUALLY PUSH. It is in that light I view this article as useful to push towards good government and not as one to insult people. In Polonnaruwa and A’pura Sirisena did not win with a solid majority because of the corruption of his family. The Sudu Araliya Hotel owned by the brother of Sirisena is built on ILLEGALLY ACQUIRED Parakrama Samudra Tank reservation land. It is an Environmental scandal. When the Parakrama Samudra fills the hotel goes under water, so the local AUTHORITIES have been pressured to not allow the tank to fill and reach spill level. This affects the farmers livelihood and they suffer in the dry season without water for crops. The Sudu Araliya Hotel should be shut down and boycotted! This man is going to give competition to Dayan Jayetilleke, Wimal Weerawansa, Udaya Gammanpila, Vaasideva et al for authoring the ultimate manual on hypocrisy. Why does he not come out and openly say that we should dispense with “western democratic values,” specifying what they are and why in a perfect (Jarapassa) world they would not be applicable? Palayang yako is an appropriate handle for a fool like you, of the Yako breed. You will take another hundred years at least to get even a close understanding of the “western democratic values” and you should first try stand erect on your hind legs. Sorry I can’t stand “erect on my hind legs” because, unlike you, I don’t have forelegs! Palayang yako is an appropriate handle for a fool like you, of the Yako breed. Take that advice from all the readership of CT. So what you are basically saying is, anything and everything bad full of hateful and spiteful commentary can and should be made against Only the previous regime meaning MR and they should be considered facts even if they are fiction or imagination and for 10 years did absolutely nothing but only looting!!! while Ministers Sirisena,Rajitha et al were playing marbles. My dear friend whats good for the goose should be good for the gander too!!! Now there are a lot of people who find something wrong in the system and ask question like heroes ” Is this Yahapalanaya ?”. Mr Ajit Randeniya, if you so sure about this monopoly and corruptions why don’t you file a case against this corruption. If are busy JVP or Ranjan Ramanayake can help you to file the cases. Good point. But in your country no case can be brought against the President. Sri Lankans have to wait until he leaves office. The complaints raised by this writer is many, most not against MY3. So case can filed against them. A timely article Ajit. Thank you indeed. I am sure the high riders of “Yahapalanaya” will welcome your political correctness for mincing words with euphemisms such as “Monopoly” or “Duopoly”. In economics we called this a cartel. I will cut to the chase and be more harsh. I called this a “RICE MAFIA” as did the JVP that brought this to parliament many years ago. Matter of fact, this supply and demand equation is manipulated so much by vested interests in this government that this topic has been exempted from the “Maithree Palanaya” equation. I admired the JVP for their courage and solidarity in support of our farmers, small scale mill owners, granary store owners, seed producers and even transporting companies that were forced to take their produce from the East to “Rajarata”. Even the transportation logistics were manipulated under a militarized North and East. I recall an incident where lorry drivers complained to me that they had weapons placed to their head, and given a destination to drive their convoys towards Rajarata. At least we can debate and argue on these matters for the time being, due to the congenial political climate with no white vans. Isn’t the dawn of democracy great, Ajit? business names in the South – Mayura Garment industries, Dasa Industries and many others. They have collapsed owing multi-millions to State banks. They use political patronage to Write off these loans as bad and unrecoverable loans. Take a look at the Bad Loan portfolio of both Bank of Ceylon and the People’s Bank. On the other hand, Gnanams (St. Anthony’s Industries, the Maharajahs, the Selvanathan Brothers and many others) Jafferjees, Hebtulabhoys, Nagindas industries, MAS appear to be more honourable and have not duped banks. First of all you are finding fault with trivial issues! What has suits got to do with Yahapalanaya? Most vavulas in national suits wear it to dupe the society! They need not be honest! I am not saying those in WESTERN garb are honest,…… but give them a chance to wear what they want …. but of course not naked! Foreign ministers do have travel, as long as they are not a plane load of Suckers who have to be pleased! Hameed did it, so did GL! That’s their job unlike MR taking a Sri Lankan plane load for a match and then sacking the GM who objected! Dear Ajith please grow up!!! Just don’t cough for the RRR. Oh really backlash? What about D Samason Industries (Now the Samson group) one of the top respected business groups? What about Maliban, Munchee just to mention a few? Hopefully, one positive thing is money earende by this corruption stays in Sri lanka unlike the money used to buy expensive cars, helicopters hotels in Dubai or Maldive Island. Simply Pathetic. Someone who has no shame to defend the sordid regime of Rajapakse’s coming to thrash the new government simply based on unsubstantiated allegations, even without giving a them a chance. How cheap. Get a life. 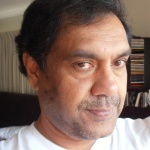 Isn’t this the same fella previously pretending to be an expert in terrorism and writing to Rajapakse newspapers stories about western conspiracies under another pseudonym, one Dr. kamal wickramasinghe. Resurfacing after the election in CT. Same wolf in sheep’s clothes. Better come out of it and talk straight.